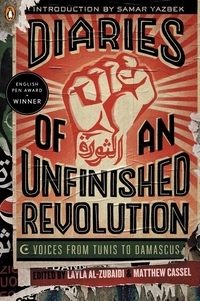 As revolution swept through the Arab world in spring of 2011, much of the writing that reached the West came via analysts and academics, experts and expats. We heard about Facebook posts and tweeted calls to action, but what was missing was testimony from on-the-ground participants--which is precisely what Layla Al-Zubaidi and Matthew Cassel have brought together in Diaries of an Unfinished Revolution. 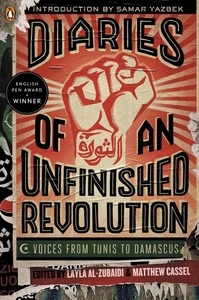 These essays and profoundly moving, often harrowing, firsthand accounts span the region from Tunisia to Syria and include contributors ranging from student activists to seasoned journalists--half of whom are women. This unique collection explores just how deeply politics can be held within the personal and highlights the power of writing in a time of revolution.